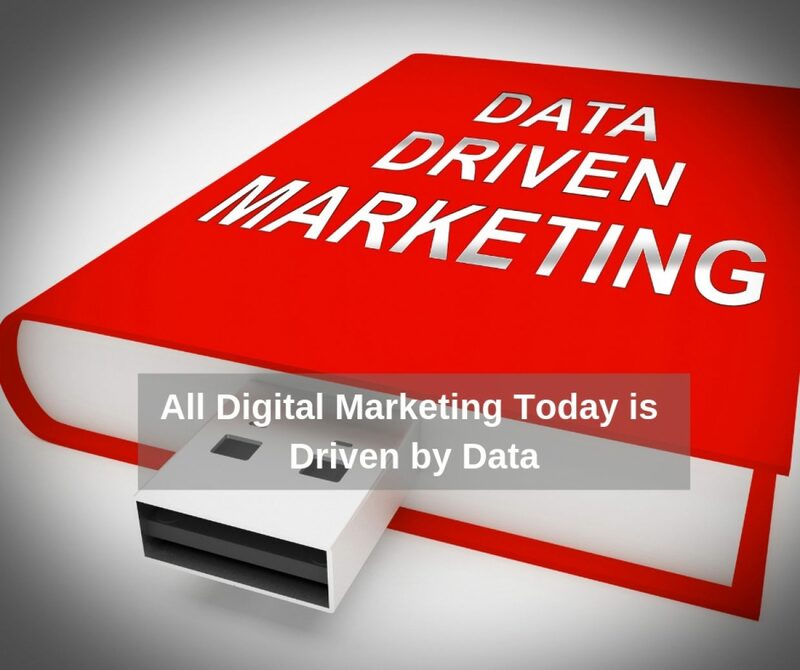 Data Driven Marketing - All Digital Marketing Today Deals with Big Data! How much money have you spent building out your website? If you are like most business owners, having an online presence makes up a good portion of your revenue. If it does not, that is a problem. Many novices are under the impression that if they have a great website custom built for them, that naturally, they will start showing up on Google Searches. Truth is, having a great website is somewhat like purchasing a gym membership…just having the membership doesn’t get you in shape. The same with a website, just having a website doesn’t mean that anyone knows that its there and will visit it. There are many ways to generate website traffic. In 2019, the most common is to simply share your website on social media. Truth is… unless you are a major influencer on social media, that will in no way, generate enough traffic to provide a return on investment much less add to your bottom line. Paying for social media advertising is most likely the easiest way to generate a little bit of traffic to your website…If you can define the perfect target audience is critical. The spend on social media marketing has continued to increase. The big players in this space are Facebook and Google and more recently Amazon. Both of these behemoths use the data from their user base to “target the perfect audience”. You must understand how to set up your ads. There are hundreds of other articles that will provide that for you. Our point here is that you MUST leverage their user data to get your ad in front of the right people. Whether you choose to do Facebook advertising, Google re-marketing, Twitter ads, Google Ads or anything else, you should seek out a professional if you are going to spend more than a couple hundred dollars per month. The beauty of social media advertising is that the barrier of entry is very low. Just about anyone with a credit card can “boost a post” on Facebook and generate some traffic. Google and Facebook together make up a HUGE share of the digital marketing spend. Search Engine Optimization (SEO for short) is a very complicated process of having your website rank organically for search engine results involving your potential customers. This entire process starts by analyzing the keyword research data. That will at least let you know what you would LIKE to rank for. Don’t get confused, that is only putting you on the starting line. Then the work begins to build backlinks, complete on-page SEO, advanced schema, internal links and much more to ultimately rank your site. For most business owners, you should find a professional. The challenging aspect of finding a good SEO agency is that the results of any search engine optimization campaign can take months or even years to reap results. Because of this, there are many supposed SEO gurus that would be happy to take $99 per month from you for a year and provide just about nothing. Google is by far the most dominant of the search engines. If your business shows up for major searches, it turns a small business into a publicly traded company. Many companies such as Trulia and Hotels.com got their start simply by dominating people searching the web for real estate and hotels. Trulia by combining real estate data from across the country and layering an advertising site on top of that. Zillow did the same thing but had the Zestimate gimmick. In the end, Zillow bought their #1 competition Trulia. Looking for statistics on the US real estate market? At the end of the day, all current digital marketing is data-driven. Today, data is literally a currency and can be directly converted into money. That is what makes data breaches such as the Cambridge Analytica scam. Most small business owners, at least the ones that provide a service, are constantly attempting to convince their clientele that using a professional is much more cost effective than attempting to do something you are not familiar with. By that exact same rationale, unless you are comfortable analyzing data and creating ads, you should leave your digital marketing to a proven Digital Marketing Agency. If you need some assistance, just drop us a line.